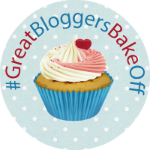 Another week of gbbo and this week saw the contestants attempt pastry. Pastry is another thing I've never really attempted at home but I gave it go. First up I cheated and did a filo pie, so I bought the filo. Think life is too short for me to make that from scratch at home. K had watched this weeks episode with me and was really inspired by some of the flavours used in the pies. We spoke about it and came up with the idea of chicken, bacon, spinach, red pepper and feta filling on filo. I seasoned it all with ras-al Houte. I'm a pampered chef consultant so make similar pies with croissant dough so I used the same principle to make this one. I chopped up the spinach and red pepper to quite fine. Fried the chicken and bacon together before stirring into the spinach and pepper and sprinkling feta over the whole thing. 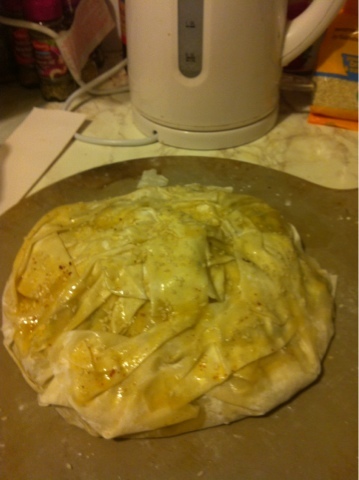 I layered up 4 sheets of filo in a star shape with melted butter and popped the filling in the middle. Before wrapping up the edges and piling on top. I cooked it on a stoneware base as had no pie plates that would fit. To top I sprinkled the whole thing with sesame seeds before popping in the oven. It was surprisingly filing as a light dinner for me and hubby. And made a nice change. Think I will be trying this again! Then yesterday I decided to give making pastry a go. I did a 250g butter to 250g of plain flour. 1/4 baking powder and a pinch of salt. Rubbed together before adding 2 tbsp of water. For my first attempt I was quite pleased it came out quite short, but think of I add more flour it would combat that. For the filling I chopped two large brambly apples sprinkled with sugar and cinnamon. Add before popping in the pie corn flour. 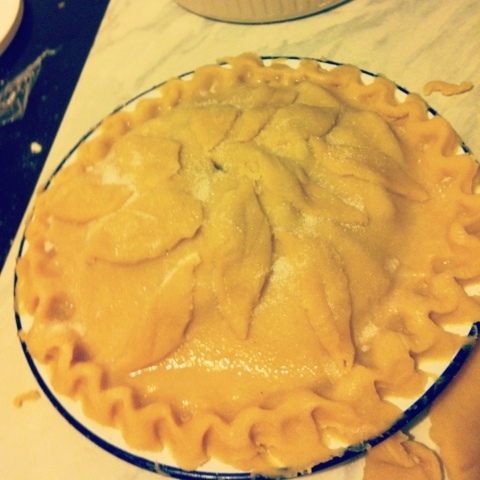 I also added a layer of corn flour at the bottom of the pie to combat a soggy base. Coated in water and added a sprinkling of sugar. Out of the oven. It was lovely and crumbly. The apples were a bit tart but I'm excited to try some different types of fillings. We shall see! well done you on attempting two pies! that is some going. The filo one sounds delicious and i like the ingredients yuou combined for that one. 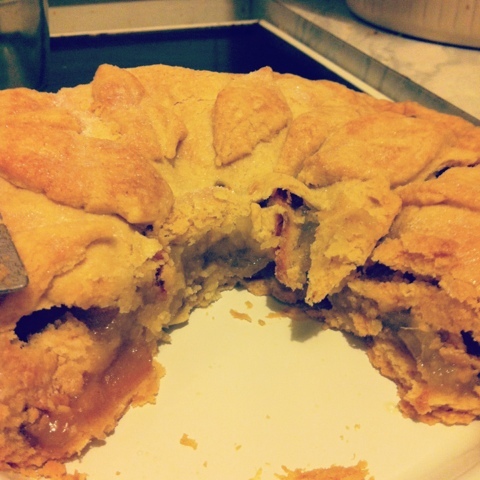 and the pastry on your aple pie looks lovely and thick and tasty. I love your crimping on the apple - that's something that I'm rubbish at! 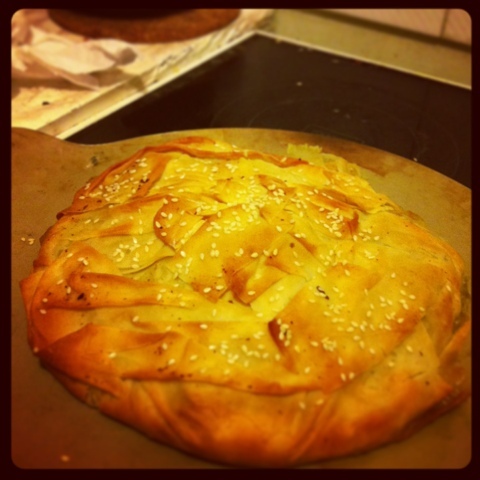 Your filo one sounds lovely too - great ingredients!